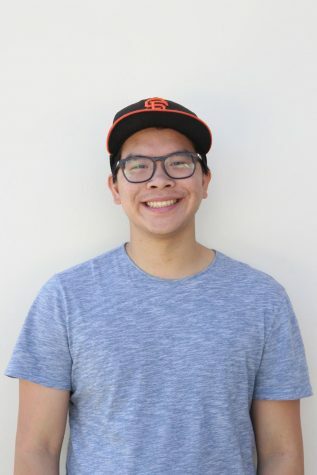 Josh Cheng is a junior design major who enjoys spending his free time destroying people in "Smash Bros." and trying the best ramen places around Biola! Hi! My name is Joshua Cheng, but two letters for two syllables is inefficient, so just call me Josh. I grew up in Palo Alto, near Stanford, playing video games and swimming for most of my time that I was out of school. My favorite games are "Legend of Zelda: Twilight Princess" and "Super Smash Bros." This drew me to learn more about design and the process by which games and characters are created. Some of my other hobbies include sleeping past 1 pm when I don’t have responsibilities, sketching random things in my notebooks, and watching anime that I constantly forget to finish. I’m a late-comer to the Chimes since I’m starting as a second-semester junior. I was referred by a friend to look into the designer position, and it’s a really comfortable environment with friendly people so I’m excited to work with such a fun group of people! I’m also a design major here at Biola University and I love learning new ways to apply design into my life and my work!